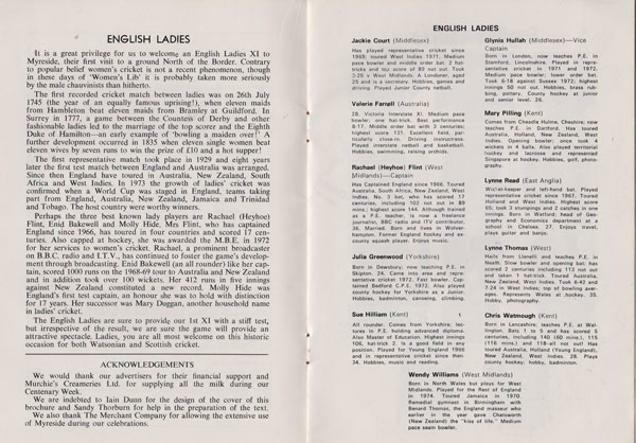 ENGLISH LADIES team signed 1975 Watsonians cricket programme. 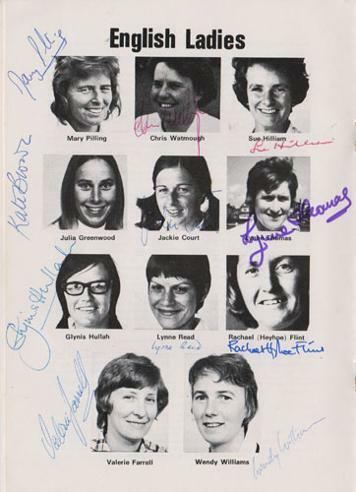 Cricket programme signed by eleven England Ladies players: Rachael Heyhoe Flint, Mary Pilling, Chris Watmough, Sue Hilliam, Julie Greenaway, Jackie Court, Lynne Thomas, Glynis Hullah, Lynne Read, Valerie Farrell & Wendy Williams. Also signed by the Watsonians CCC men's team. 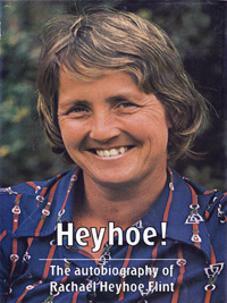 1973 Women's World Cup Winning Report - Signed Cover & Inside Double Spread. 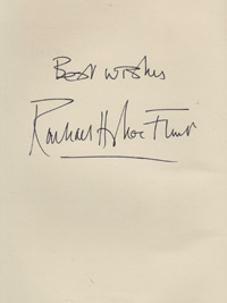 (inc. Bradman, Benaud, Warne, McGrath, Gilchrist, Hayden, Slater, Lehmann, Thomson, Waugh, Johnson, Boon, etc).